The insertion of the Turkish economy into global capitalism has mostly occurred during times of economic crisis. During the present crisis as in the crises of 1979, 1994 and 2001, the Turkish government took many steps according to the policy frameworks determined by global actors to integrate further into global capitalism. Such steps did yield some positive results for those sections of capital that could adjust to the rules of global competition and integrate with global capital. Nevertheless, Turkey’s survival strategy, which rested on cheap labour, has caused increased pressure on workers as well as high unemployment, poverty and job insecurity. Unfortunately, due to the prohibitions on union activities following the 1980 coup, combined with new work regulations deriving from changing production systems, the working class and unions did not have sufficient strength to resist this process. 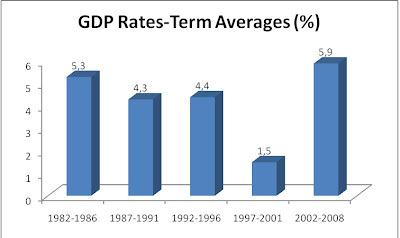 In Turkey, the rules of the market economy, institutionalised in 1980, have attained their target thanks – to a large extent – to the policies implemented until the 2008 crisis. However, the process is not complete. The IMF and World Bank lending agreements, the reports prepared by the OECD, and the conditions imposed by the EU in the process of assessing Turkey’s membership have warned Turkey that it must complete its process of integration into the market economy. 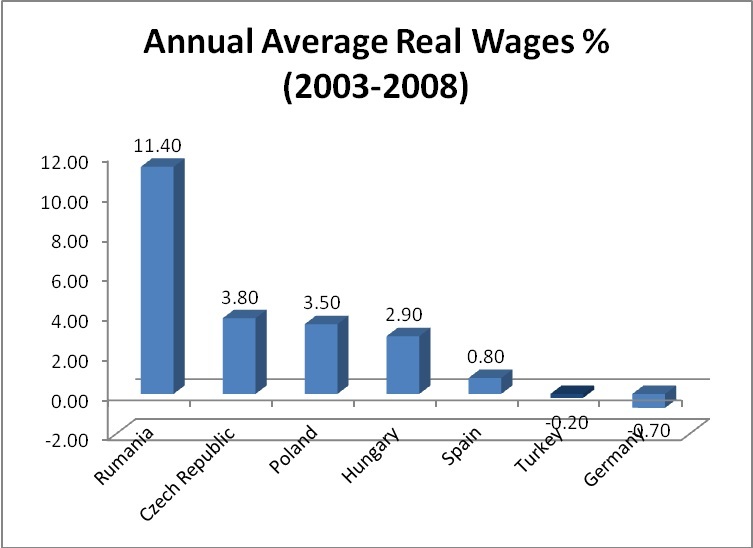 Turkey achieved high growth rates until 2008, but workers did not benefit from a fair share of this growth. Furthermore, the policies supporting growth led to the loss of job security and social guarantees for workers, as well as to a decline in real wages and a further increase in unemployment and poverty. 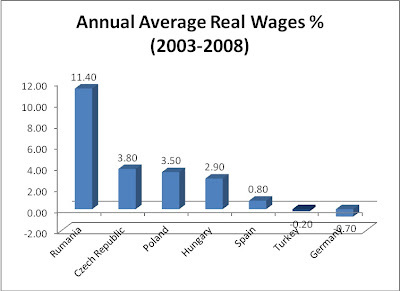 The global crisis in September 2008 took place during the period when capital increased its accumulation through more intensive worker exploitation. In Turkey, the government responded to the global crisis in line with the policies determined at the global level. The policies implemented as a requirement of the market economy have been publicly raised by the rhetoric of “solving the unemployment problem”. The unions stepped into the crisis with considerable weakness due to the oppressive legislation and their own structural problems. The different ideologies held by the unions were also reflected in the policies they adopted in the face of the crisis. DİSK and KESK, which proclaim to be relatively closer to the left and oppose the AKP government, were perhaps the most actively engaged against the crisis. “Birleşik Metal-İş” (a union representing workers employed in the metal industries), which is affiliated with DISK, published a declaration on 3 November 2008, which emphasised that the crisis actually arose out of the capitalist system and that this was therefore a crisis of capital. The declaration also advocated that workers must not be forced to pay for this crisis, and further called for reducing working hours in order to protect employment, banning dismissals and flexible employment, and cancelling the interest on credit card debts as well as indirect taxes. The most important difference of this declaration is that it called on all pro-labour organisations as well unorganised sectors of society to collaborate in order to achieve these demands. A report issued by Türk İş, the largest nationwide confederation of unions, highlights the importance of protection of employment and defends the idea that the state must support capital through incentives on condition that the latter would protect employment as a way out of the crisis. Mass layoffs of unionised workers led labour unions to focus on the protection of employment. However, with the exception of a number of combative unions under the KESK and DISK confederations which managed to organise powerful struggles, it is generally understood from the initial reactions by the confederations that the crisis is perceived as a “natural” phenomenon which affected the whole world, and not as a structural consequence of the capitalist system. The government has responded to the crisis through incentives for capital in the form of taxes, loans and investment promotion, giving them the following major titles: tax exemptions and exclusions, tax amnesty for undeclared wealth, debt rescheduling and instalments. Moreover, temporary reduction was implemented via indirect taxes on consumption for a limited period in order to revive the domestic market. With this in mind, the demands of capitalists and unions overlapped on many issues, such as support for companies, partial absorption of labour costs by the state, and demands for changes in tax policies. A one-day strike, which was staged by KESK and Türk Kamu Sen on 25 November 2009, was the most effective protest carried out by the unions against the effects of the crisis on workers. A short time after this very well-attended action, workers who used to be employed by TEKEL - the recently privatised public enterprise producing cigarettes, tobacco and alcohol - took action in Ankara to protest against the privatisation of TEKEL and their re-employment in other factories as per Article 4/C of Civil Service Law No 657. This law was introduced by the AKP government to veto the workers’ existing contracts and force them to accept part-time conditions with significant loss of pay and social rights following the closure of their workplace. The TEKEL action, which turned into one of the most important in the history of the Turkish working class, was carried out despite government disapproval and threats. The action lasted 78 days. The TEKEL workers' resistance was supported by very different sections of the working class. In addition, many unions in Turkey and across Europe made material and moral contributions to the protesting workers. Although six labour confederations operating in Turkey declared their support for the resistance, it could not be turned into a common cause. However, although the demands of the workers were not met, the wages and employment benefits of about 20000 workers under 4/C status saw nominal improvements. In addition, certain regulations regarding severance pay and private employment offices that had been on the agenda for a long time and that were to be introduced by the government could not be raised due to the influence of the working class struggles, which gained momentum following the TEKEL resistance. Unfortunately, despite the stability of workers and strong public support to sustain the resistance to abolish 4/C status completely, Tek Gıda İş Union disclosed in a statement made on August 9 2010 that all the actions scheduled to raise the demands of the TEKEL workers had been cancelled and they called on the workers to agree to the 4/C position they had been resisting for 78 days. One could argue that, beyond the oppressive and restrictive setting in which unions have been forced to operate since the 1980 coup, the “compromising” approach of international union organisations has also influenced the union movement in Turkey. The World Bank, OECD and EU all supported this “compromising” approach of the international unions, which has finally been institutionalized in the industrial relations systems of central and peripheral countries through a number of programmes developed under the title “social dialogue”. Due to their compromising attitudes for many years, union structures throughout the world are neither so combative to challenge capital nor willing to develop political agendas and alternative approaches in the face of crisis. However, as in many other countries, labour struggles have continued despite the unions and, as a result, public protests for which the unions had to claim responsibility have been carried out. Regardless of whether capitalism has overcome its crisis, the crisis for workers continues to deepen. Whether the workers will finally be able to overcome their crisis by getting out of the vicious cycle of unemployment and poverty depends on the power they are able to generate through class struggle. The decisive issue will be whether the unions keep seeking compromise, or head for class struggle. Özgür Müftüoğlu is Assistant Professor in the Department of Labour Economics and Industrial Relations at Istanbul’s Marmara University. He has published widely on labour studies and political economy and has produced and presented a weekly TV programme ‘Emek- Forum’ (Labour-Forum) for the last 2 years. He is also a columnist for the daily newspaper Evrensel.